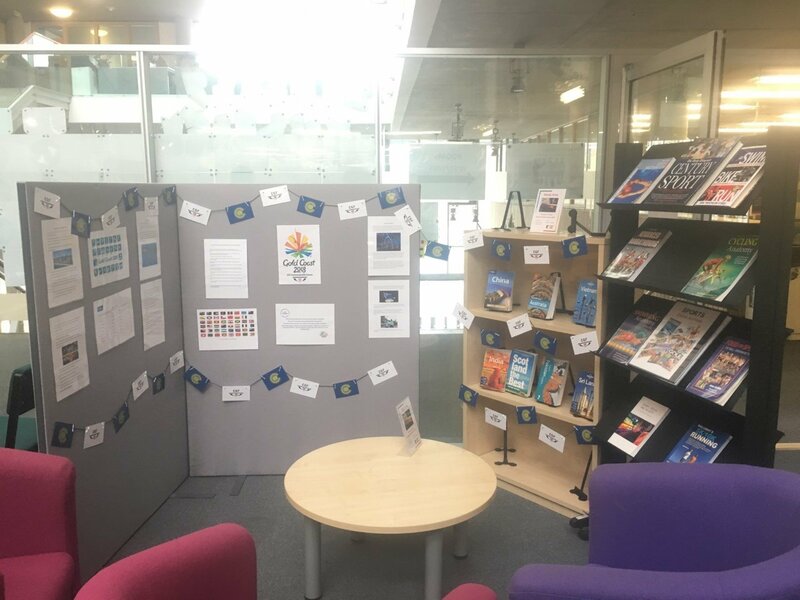 Come along to the library in Springburn to have a look at the Commonwealth Games display containing lots of interesting information about the games, as well as the countries that make up the Commonwealth. 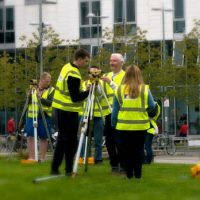 In addition, we have a competition for students to take part in to win a coffee voucher: Let us know which year Scotland won the most medals at the Commonwealth Games and where the games were held. 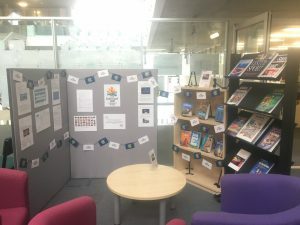 Students only, give your answer to the staff at the library desk, the closing date is the 27th of April 2018. 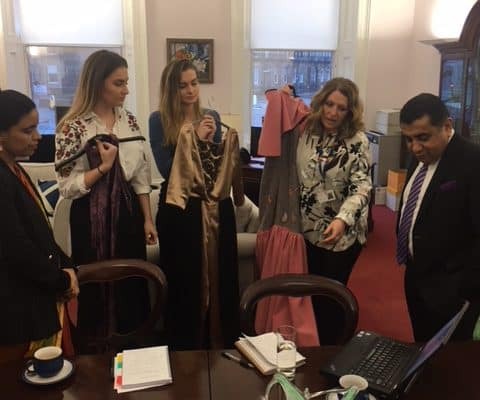 Students and staff from the fashion department were delighted and honoured to be invited to meet with Lord Ahmad, Minister for the Commonwealth and UN and the Indian Consul General, Mrs Anju Ranjan at the Scotland Office last week. The meeting had been arranged by the Cabinet Office in order that Lord Ahmad could learn about the College’s India programme, in particular the link that has grown based on the Paisley Pattern. 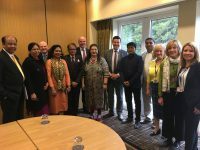 This is a precursor to the Commonwealth Heads of Government meeting that takes place in London in April. 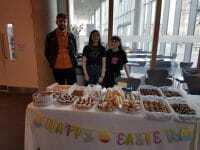 Alastair McGhee and Sandra Thomson for the College staff attended the meeting and the fashion students were represented by Vanessa Wyllie and Lucy Huggan. 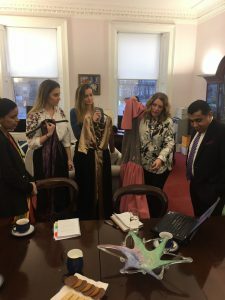 The Minister and the Consul General were particularly interested in the students’ experiences, both learning and cultural, and the partnerships that had developed with acid attack survivors. 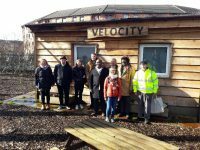 The College is now working on a short video that will form part of the upcoming Commonwealth meeting and will be in further discussions about how it can support this important international event.